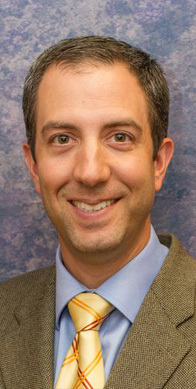 Dr. Farrugia is board certified in Otolaryngology, Head and Neck surgery. He completed fellowship training in Otology and Neurotology. He has been appointed as an assistant Clinical Professor for the Department of Osteopathic Surgical Specialties at the Michigan State University College of Osteopathic Medicine.Dr. Farrugia cares for patients with all types of ear, nose, and throat disorders. This includes pediatric patients as well as the geriatric population. He incorporates a wide range of diagnostic testing into his evaluation. He uses the latest technology for both evaluation and surgical care.In addition to providing medical and surgical care for general Ear, Nose and Throat disorders, Dr. Farrugia also completed fellowship training and specializes in surgery for the ear and balance disorders. He cares for patients with hearing loss, tinnitus, dizziness, ear infections, and chronic ear disease. He performs surgery for the ear including reconstructive procedures for hearing loss, otosclerosis, cholesteatoma, and Baha implants. His particular interest is caring for patients with Meniere’s disease and other balance problems.Dr. Farrugia believes in a thorough patient-centered evaluation beginning with a careful history. He listens and responds to his patients problems and concerns. Please call our office to schedule an appointment with Dr. Farrugia.